BUGOLOBI – Uganda Communications Commission, (UCC) – the communications sector regulator has vowed to hunt for fake news perpetrators warning that it is wrong, unlawful, unethical and defamatory. This was after a number of online bloggers and other dossiers in circulation made damning allegations against UCC’s Executive Director Mr Godfrey Mutabazi, that he had issued a directive to all broadcasters against playing Bobi Wine’s Tuliyambala Engule song as well as people having it on their phones. Now in a statement issued on social media, UCC notes that it has observed an increase in the incidences of fake publications on digital platforms where unscrupulous individuals misuse computer systems to create, publish and distribute unverified, misleading, and false stories. “An online page managed by an individual that has since been identified published fake and misleading information against the person of the Executive Director [Mr Mutabazi], says UCC. “I even warn those who have it on their phones, we can trace you and you will be forced to answer some questions,” adds the document in circulation. 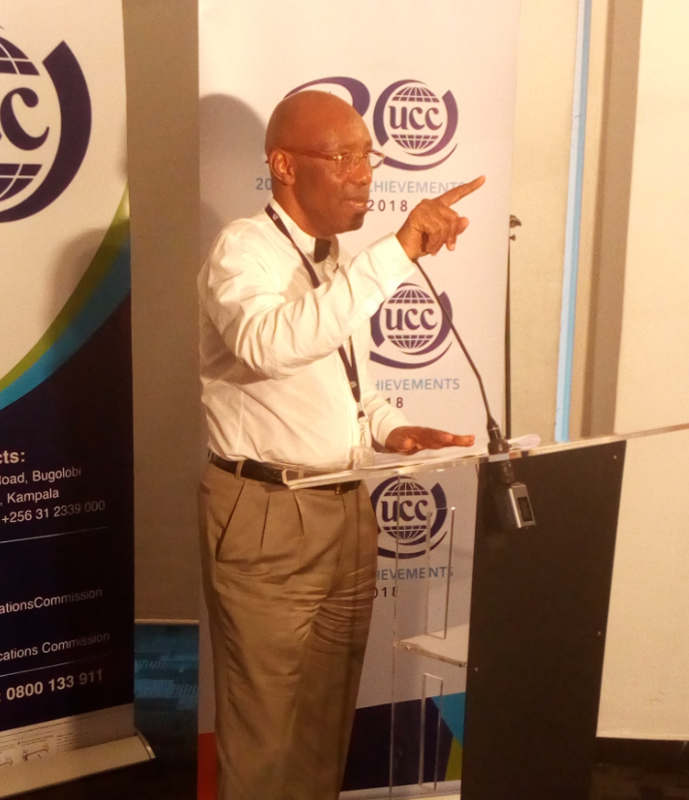 UCC, has however, denies knowledge of the document and warned the public to be vigilant and exercise due care by verifying the authenticity of any news stories from official sources before believing and acting on them. Pamela Ankunda, UCC’s head of public and international relations said that on Friday alone, about 900 people on 2 different facebook Accounts had shared “Fake News’ that Mr Mutabazi had issued the alleged statement on the song. “By close of day, thousands had shared it further, on different social media platforms creating a value chain of Fake News,” she said. Several other individuals including Mr Ibrahim Bbosa, UCC’s consumer affairs manager have since raised concern over the increasing trend of fake news. Mr Bbosa said that journalists peddling fake news should be a concern for everybody. “There is a need to reassert professional values and standards in journalism. The panic that can be created by the spread of misinformation, in general, has the potential to harm individuals and society,” said Bbosa.